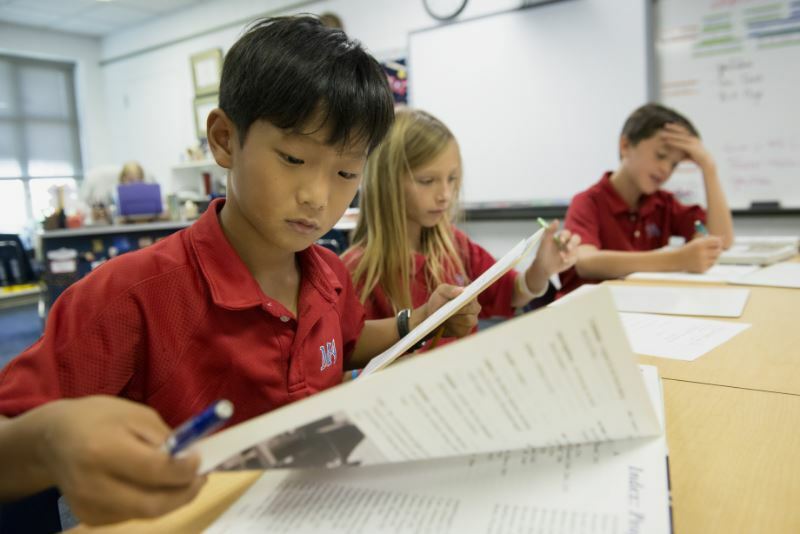 The Montgomery Academy Lower School seeks to educate the whole child by focusing not only on each child's academic development but also on his or her physical and social-emotional development. The Lower School day is designed to help students grow in each of these areas. For more on the Admissions Process for Grades 1-5, please click here to see our Admissions Checklist. Come See Our Campus: We encourage our prospective families to join us for a tour of our campuses. We believe this will provide a more personal and authentic look at what the Academy offers. There is simply no better way to understand the MA Difference than to observe the learning process in action. Please contact the Admissions Office to schedule your tour! Experience a Day at MA: We welcome prospective students to join us for a Shadow Day if they would like to experience "a day in the life at MA!" We invite them to spend the day with a current MA student who shares their interests and attend classes, explore our campus, and enjoy lunch with classmates. To arrange a date for your student to shadow, please contact our Admissions Office. The Admissions Office can be reached by email at admissions@montgomeryacademy.org or by phone at 334-272-8210.